Neoprene is ideal for medical braces and other body applications that call for breathable material. Only the rubber itself is perforated. The fabric you choose is not perforated. There is some growing information that polyester covered neoprene will hold up better in direct sunlight than nylon will. Nylon fabrics tend to fade in sunlight while polyester doesn't. Print on polyester if you wish to use an "ink jet" or dye-sublimation printing process that sprays ink into the fabric. A polyester fabric surface will hold the image much better and more clearly than nylon. Since the color of the fabric will influence the color of the ink used, we recommend using a White Polyester Fabric to make sure the final colors are true to what you need. Nylon fabrics tend to fade in sunlight while polyester fabric doesn't. Nylon is suitable for silk-screen printing. Since the designs will be on top of the fabric surface, any color of fabric will work well for this kind of printing. Nylon fabric has a stretch of longitude 95.56%, latitude 244.75%. A fuzzy loop fabric applied to neoprene perfect for hook side of Velcro to bond with. U-loop should be used in Velcro applications that are not separated frequently. Since u-loop will wear out. U-loop increases airflow for close to skin applications when facing skin. A higher quality version of the U-loop. It stands for "UnBreakable Loop". UBL should be used when Velcro will be frequently applied and removed. Textured on one side. 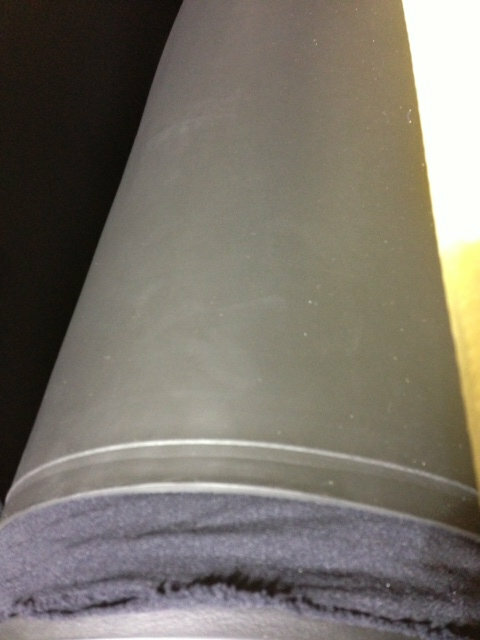 This is an adhesive backing applied to the neoprene. Simply peel away the paper exposing the adhesive. Colors may vary due to screen display differences. Please note that the back side of color Neoprene sheets are BLACK. 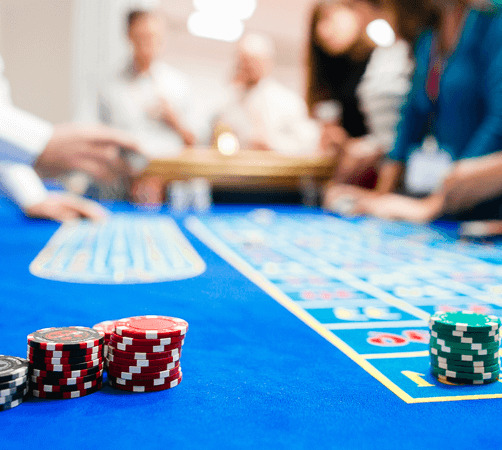 Whether they’re sitting down to a weekly night of Texas hold’em with friends or rolling the dice in Vegas, gamers around the world agree that the quality of the gaming table can make or break the game. 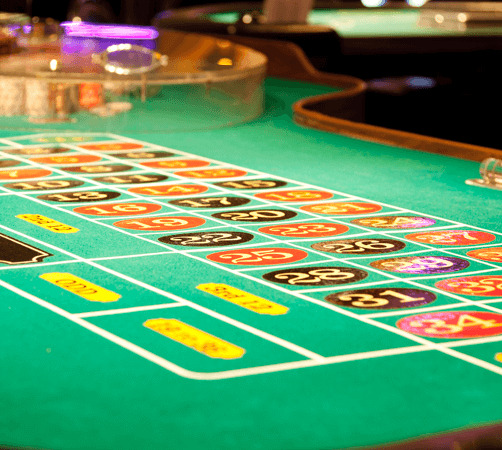 Without a proper playing surface, chips bounce and will not stack, cards are difficult to pick up, and players run the risk of damaging their tables with dice and playing pieces. Adding a thin layer of neoprene to your wooden poker table is a simple and surprisingly easy way to create the most enjoyable gaming experience possible for yourself and your guests. 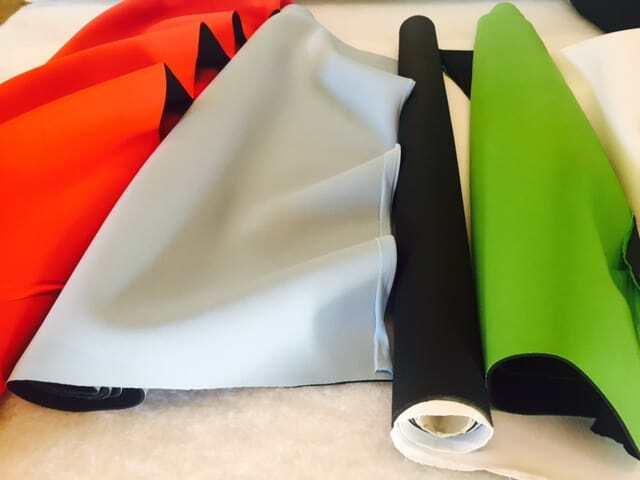 With the internet’s largest selection of neoprene – with dozens of colors, thicknesses and texture combinations to choose from – FoamOrder is the best place to go for gaming table do-it-yourself projects, surface replacements and improvements. 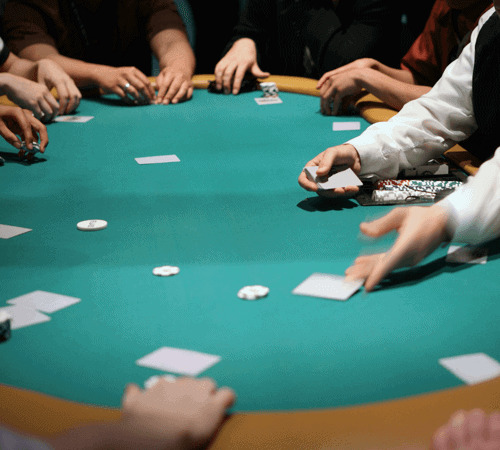 Neoprene keeps chips and dice from bouncing wildly across the table, while still providing a firm, smooth surface on which to stack poker chips. The protective layer also prevents game pieces from making noise and damaging the table. Our closed-cell foam is the same material used to produce wetsuits, which means it can wick away moisture. As a result, it protects the wooden base of your table from water damage, and spills are easy to clean. Compared to other options that don’t recover well from imprints, neoprene is resistant to compression, which makes it ideal for withstanding the pressure from regular gaming usage over time. A neoprene surface for your game table can last for hundreds of gaming sessions without wearing out or discoloring. How Can You Use Neoprene and Foam for Gaming? If you decide to build a gaming table from scratch, you’ll need foam in a couple of key places. First, a protective layer of foam padding in between the wood and neoprene layer of your table surface can provide protection and increase ease of play. Next, if you’re looking to build a poker table, you’ll need foam to protect the outer rim of the table. You can also use a sheet of neoprene as a mat to transform any hard surface into a smooth, colorful place to play. Below, we’ll teach you how to use neoprene in a number of applications so that you can get to gaming! After you’ve built a sturdy foundation for your table, follow these simple steps to upholster the playing surface with neoprene. (The same steps can be used for repairing old tables). We recommend starting from scratch by removing existing foam before applying a new layer. This approach makes the surface as smooth as possible, but some players prefer to simply add a new layer on top of the old one. Before you get started with upholstering a table, you’ll need to determine how much neoprene you’ll need. Give yourself at least a few extra inches on each side of the table to ensure you’ll have enough room to staple it. 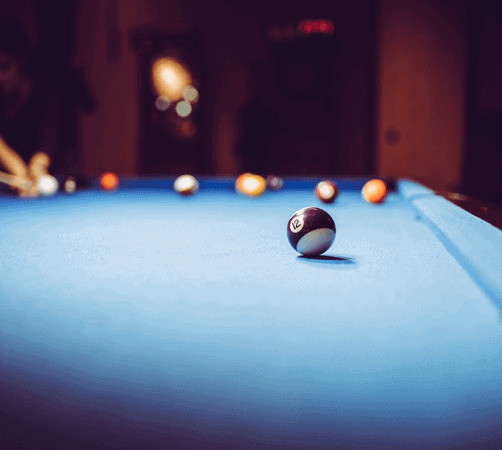 When choosing a size for a poker or gaming table, decide how many players you want to accommodate. For an eight-player table, we suggest a 40-to-54-inch diameter circular table or a 36-by-72-inch oval. For a larger table, try a 48-by-96 inch oval.Note that if the insert that you are upholstering will be smaller than the table itself, be sure to measure the base before placing an order. You can choose to purchase one of our 51-by-83-inch sheets, or have us custom cut a piece for you. FoamOrder offers dozens of neoprene thicknesses, colors and material combinations for creating your ideal gaming table surface. For most gaming tables we recommend 2-4 mm material, with the nylon fabric of your choice for the playing surface and plain neoprene rubber on the bottom side. For best results, give your neoprene a few days to lay flat when you receive it to prevent shrinkage and rolling. This will also help the glue adhere to the foam. Once it’s ready, secure the tacky, rubber side of the neoprene to the wooden base by using a neoprene adhesive like Pro-Tack foam adhesive or neoprene adhesive. Make sure there are no bumps or bubbles and apply pressure until the glue cures, which should take about 15 minutes. Next, pull the material taught and wrap it over the edge of the insert, stapling the neoprene every few inches underneath the table for extra security. FoamOrder offers dozens of neoprene thicknesses, colors and material combinations for creating your ideal gaming table surface. 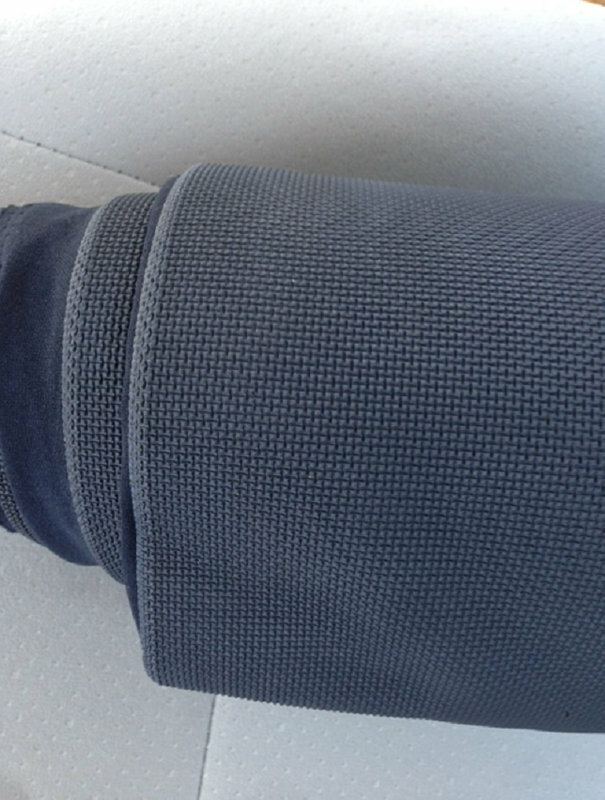 Once you’re satisfied with your surface, trim the excess neoprene from the edges of the table. Because neoprene is thick, we recommend using sharp shears to cut it. Make sure you test your scissors or shears on a scrap piece to ensure the cutting tool is sharp enough to cut without compressing or ripping the neoprene. Having a friend pull the material taught can help make the process easier. After you finish trimming, you’re done! If you’re building your own poker table, you can also use foam padding to upholster the outer railing of the table. We recommend using a one-inch-thick, high-density C33 OR C55 upholstery foam, which you can find here. This foam can withstand high amounts of pressure without losing its form, making it ideal for a surface that often supports the weight of a player. Our customers recommend purchasing a 24-by-80-inch (2-by-7-foot) piece of upholstery foam to ensure you have enough material to create a continuous strip of material around the rim. 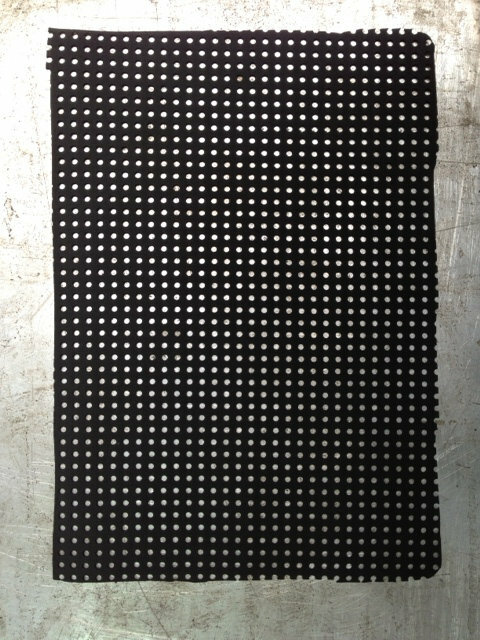 This material can be applied to the table and covered with leather or other material as desired. Don’t have time or space for a DIY poker or gaming table project? 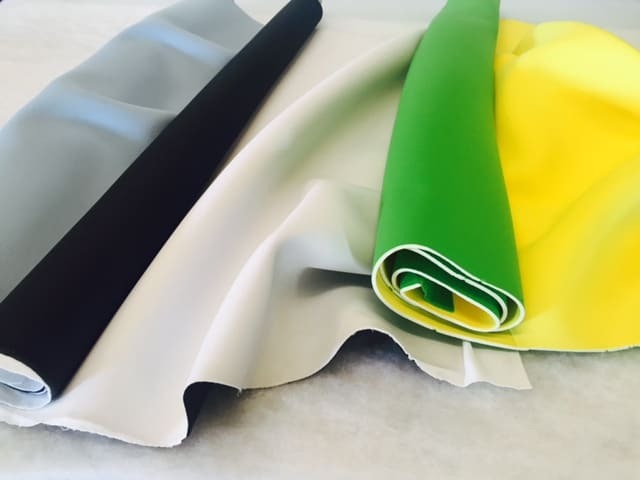 FoamOrder’s neoprene sheets are ideal for tabletop gaming around the house. All you’ll need is one of our pre-cut 51-by-83-inch sheets – just unroll the piece of rubber on any table or flat surface, and you’re good to game! Our neoprene has grip, so it won’t slip and slide as you’re trying to play a game. This is an inexpensive and convenient solution, as it allows you to simply roll up and store the foam until your next game. When it comes to gaming tables, there is a wide range of size and feature options, which is why we make it as simple as possible to customize your order. 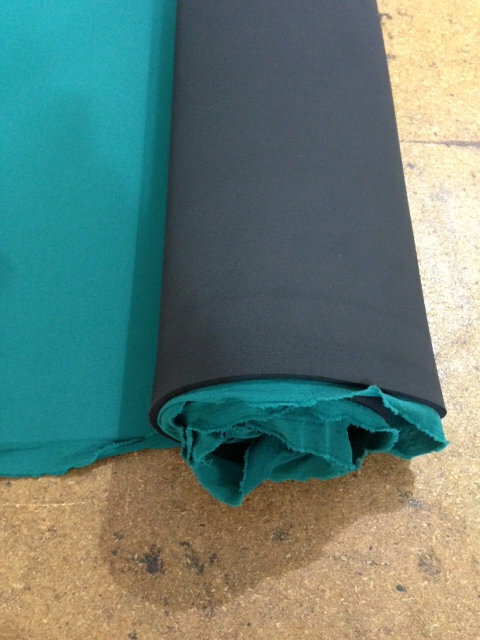 We offer neoprene in standard 51-by-83-inch sheets, but we can also custom cut a size that fits your needs. Note that due to manufacturing variances, sheets can be as small as 50 in wide and 80 in long. If exact dimensions are important to you, contact us to verify the sheet size before you order. Most customers tell us they prefer two to four millimeters of thickness for poker and gaming tables, with thicker material needed only for heavier-duty applications. For those looking to build or repair their own poker or gaming tables, we generally recommend neoprene with a chosen color on one side in nylon fabric and plain or textured neoprene on the other side to help the neoprene adhere to the playing surface. Call to check stock before ordering. We do not stock every configuration. Get your order faster!